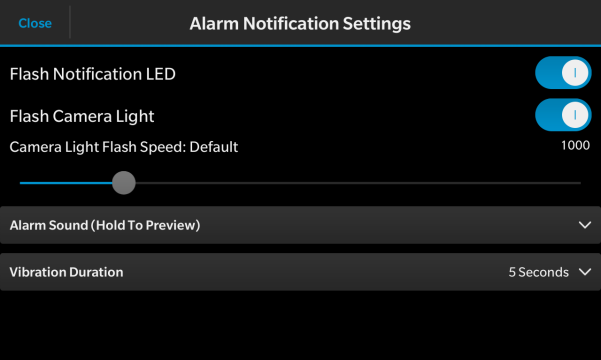 Built for BlackBerry Certified Nightly Clock is a Night Time Clock Application with Alarm, 5 Built in Alarm Sounds with ability to choose your own and stream a supported Audio File from the Internet, 9 Clock Colours to choose from, Four Font sizes and Bold Font Toggle, Music Player Controls, Camera Light Notification (Speed of the Camera Flash can be changed), you can show your own message when your Alarm goes off and the Device's LED will follow your chosen Clock Colour; you can even choose your own Wallpaper for the App. 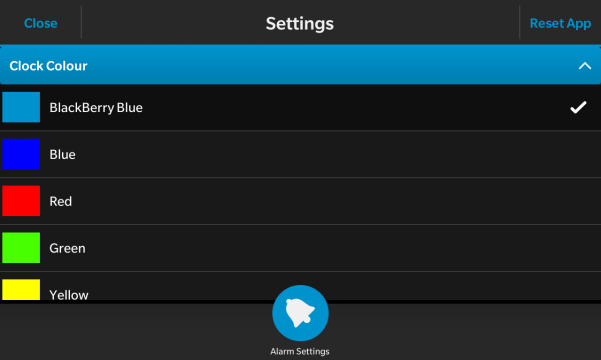 Last but by certainly no means least it comes with an Interval Alarm feature, with this you can set your alarm to sound for a certain amount of time then automatically silence itself, it will then wait a set amount of time and will sound fully (If set to sound once). 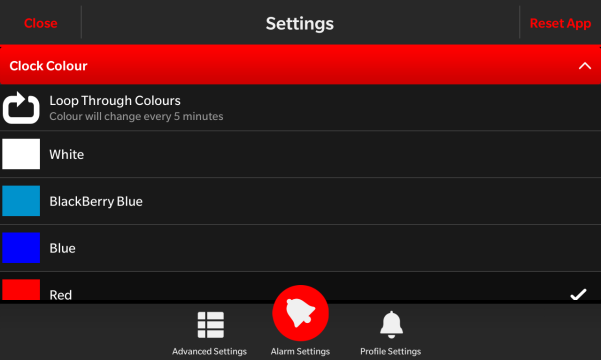 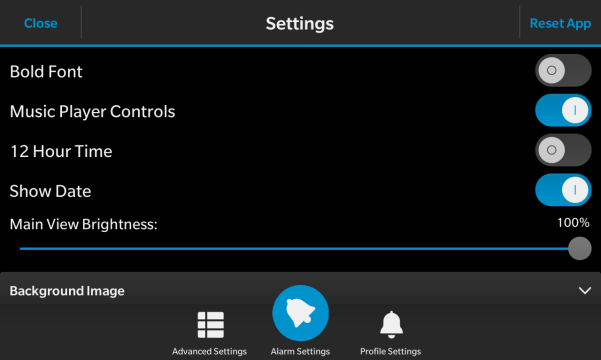 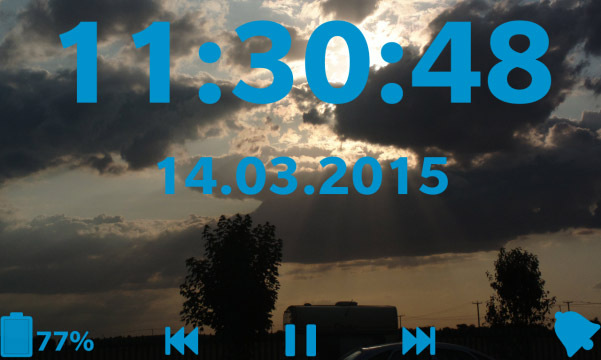 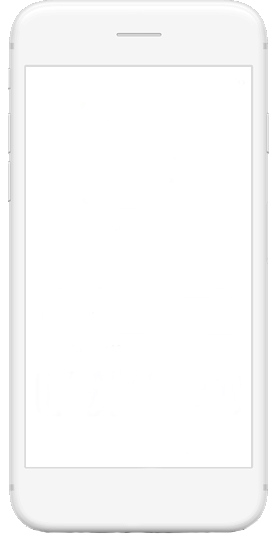 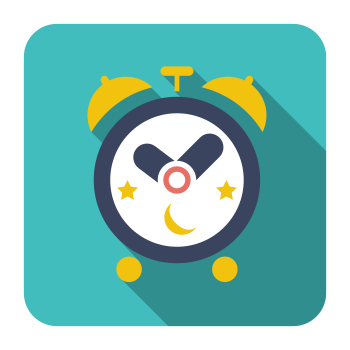 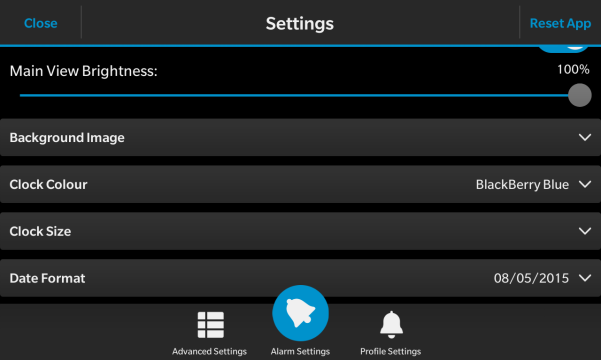 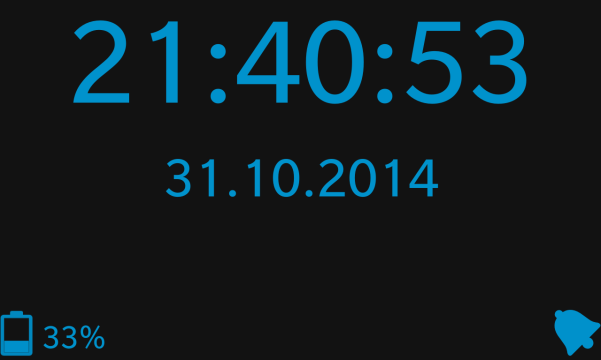 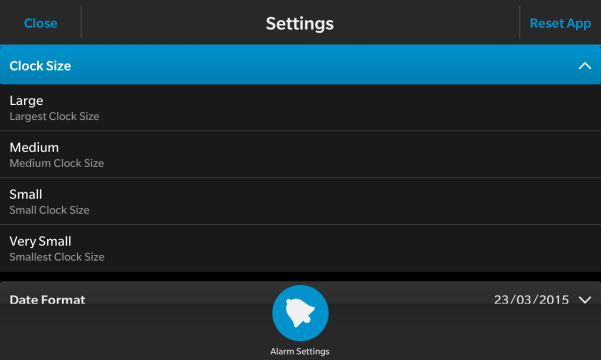 Nightly clock is a truly customisable Night Time Clock, give it a try, you won't regret it.